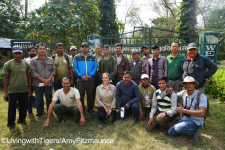 Visit our new WildTrack Site! 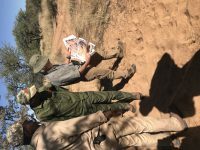 Our team is in the field, at our first site, using a footprints-only protocol to estimate black rhino numbers for landowners and the Namibian Ministry of Environment and Tourism. Duke’s Nicholas School of the Environment reports on our paper in Peer J demonstrating that FIT can be used to monitor tapir populations in the Atlantic forest of Brazil, with co-authors Drs Danielle Moreira, Cristina da Cunha, Jardel Seibert and Andressa Gatti.